Last summer, Jamie and his partner responded to a call involving a child who had been struck by a pickup truck. The scene was described as “complete and total chaos” – but not for long. 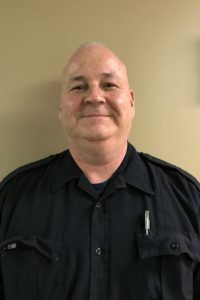 Jamie managed to focus the efforts of other agencies’ responders and calm the child’s parents and bystanders, all the while providing essential support to his Paramedic partner. Once the child was under the care of hospital staff, Jamie disappeared to find a stuffed animal for the boy and then provided comfort and information to the frantic parents. A consummate team player, Jamie is a natural leader who takes pride in the EMS profession and leads by example.